Max and Karynne had long planned a beautiful outdoor ceremony planned at the Wilderness Resort in the Wisconsin Dells. 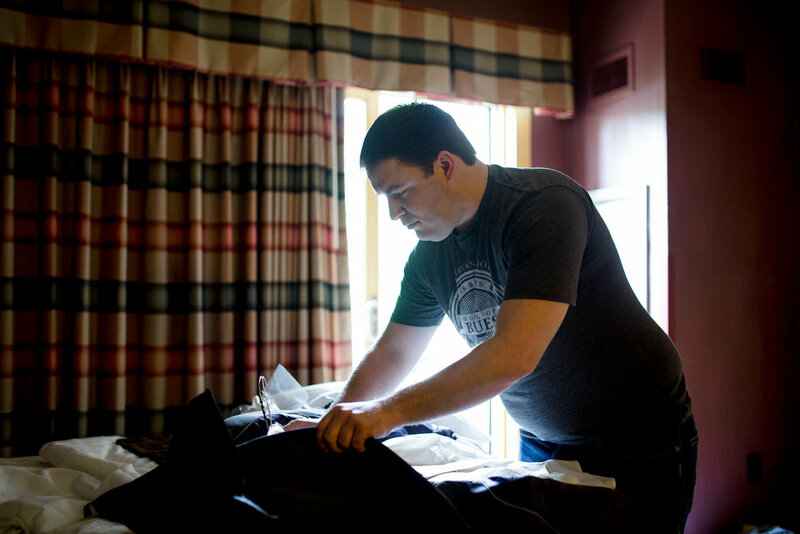 But on Saturday, Max spent more time checking the weather than he did getting dressed for the big day because on-again, off-again storms kept sweeping through the area. Nothing, however, would stop them from tying the knot in the lush green of the dells, and the sky lightened just enough for them to say their vows in nature...just before everyone ran back inside as new drops began to fall just after their kiss. It was a culmination of love for two high school sweethearts, but the entire day was a love fest of family and friends. We had such a blast making these images and can't thank Max and Karynne enough for their kindness throughout the day. Special thanks to all the vendors who helped make their day work so well: The staff at the Wilderness Resort (rushing out to wipe down the chairs moments before the service! ), flowers from Cindy at Blooms Unfold, DJ by Jukebox Bandstand, Sari Anderson for makeup, Liz Zernicke of Locks by Liz for hair, officiant duties by Karynne's uncle, Jeff Quaerna, the gorgeous beaded wedding gown from Premiere Couture, bridesmaids dresses from David's Bridal, tuxedos from Nedrebo's, ceremony music by Jason Stubbs, and a tasty wedding cake from Agie's Cakes. Chad and Brenda took their time getting to the altar, but it was clearly worth the wait when they got married last weekend in a grand wedding in the Twin Cities. 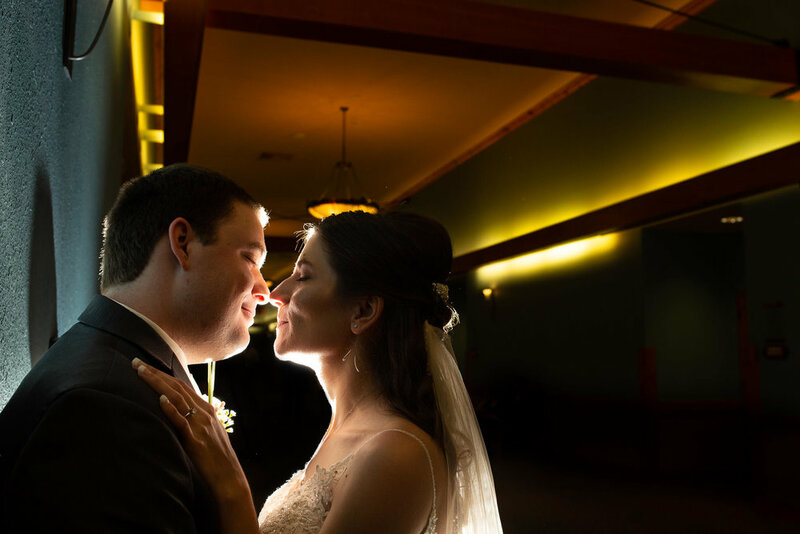 Their love story began during a bonfire at Indian Lake Park, and continued to burn brightly seven years later as they celebrated their union with family and friends, paying homage to Brenda's mother's history with the Interlachen Country Club and their connection to the Catholic Church at one of the Midwest's most beautiful cathedrals. It's rare a wedding goes off without a hitch, but this one sure did, despite some cool spring weather. It helps that Chad and Brenda not only knew what they wanted, they knew how to make sure everyone, from the vendors to the guests, had a fabulous time. The day wouldn't have gone so well if not for the great work done by the other vendors on this stunning day. 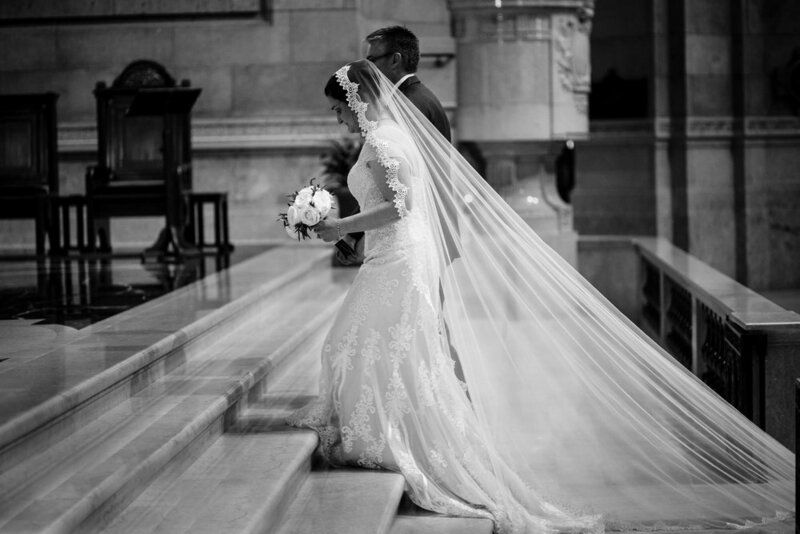 Thanks to the Cathedral of St. Paul for providing one of the most beautiful backdrops for a ceremony we've ever had the pleasure to photograph and to Father Michael Becker (who led the service and who helped Chad and Brenda secure this coveted venue), Interlachen Country Club, hair and makeup artist Julia McConahay of Chrysalis Hair and Body, (and violin music during cocktail hour), the Fabulous Flower Market for gorgeous bouquets and decor, Steve, the Midwest Sound DJ who kept the dance floor packed all night, Very Tres Chic for Brenda's sleek wedding dress, Brandi's Bridal for the bridesmaids dresses, and Nedrebo's for men's tuxedos. One of our favorite things, besides weddings, is getting to know our couples better during their engagement sessions. 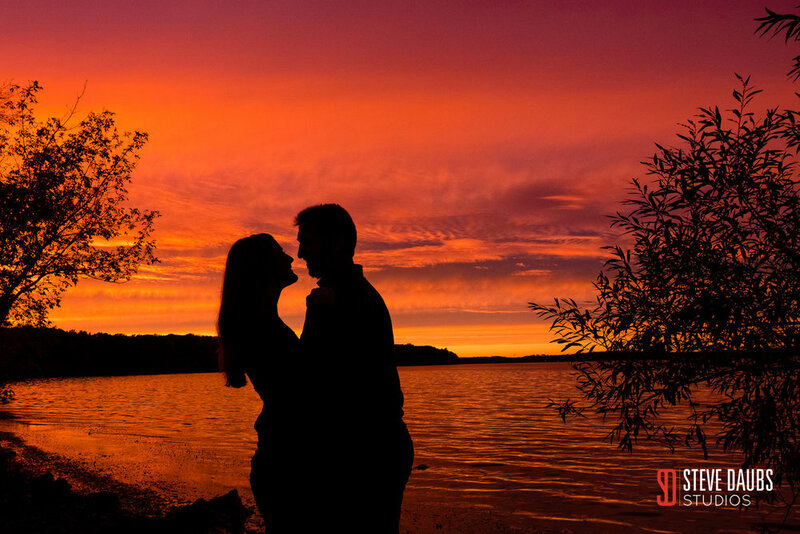 Madison and all of Southern Wisconsin offer a wide variety of locations and activities that make for amazing engagement photographs. Here are a few tips to getting not only amazing, unique images but also having a great time. Do what you love together. More than anything else, this tip is key to getting a set of photographs that only you could star in. Our approach begins with a discussion about the things you love to do as a couple. Maybe you love hiking in the woods, so we go to your favorite hiking spot. Or you love trains, so we visit a train museum. Or maybe you walk your dogs together every day and want us to document that. You might love grabbing a beer or glass of wine at a local haunt or shooting pool downtown. The options are truly endless. Its not so important that you're sitting in the perfect location as it is that you are doing what you love, together. It shows. Embrace the season. Whether it's spring, summer, winter, or fall, Madison offers myriad views and settings regardless of the time of year. Spring presents nice weather and blooming flowers as well as more than a small chance of rain. Summer can be hot, but later in the evening it often cools down nicely. Autumn brings the beautiful colors of fall, and sometimes a little cool weather. And winter can offer a snowscape that's magical. As long as you love it, we can bring the season to life in your images. Weather create opportunities. Last year, weather turned out to be one of the stars of our engagement sessions. We powered through all day showers at one session, getting a bit wet as we walked the couple's dogs, but were rewarded with the most stunning sunset of the entire season. That's not unusual--the best sunsets always occur after rain. And this winter, we worked with one couple who really wanted to make their photographs while it snowed. It takes a bit more flexibility and cooperation, but the results were worth it. Your wardrobe should reflect your style but not overwhelm you. You want your personalities to shine in engagement photographs, but wild colors, logos, and patterns will distract from the beautiful love you share. Dark colors keep the attention on your faces as well. Have fun! The advantage of documentary-style engagement sessions is that you get to do something you love doing and we simply capture it. That's why identifying something you love doing is more important than anything else in your planning of the session. There's always time for more traditional images as we find great light and settings wherever we are. Whatever you do, talk with your photographer to make sure your images are not only beautiful, but also unique to you. Are you looking for a photographer for your wedding and engagement session? We'd love to talk! Email or call us today! Introducing SDS Studio Portraiture with Free Sessions! Olga and I are excited to announce the opening of our beautiful studio space in Madison and the introduction of a wide variety of studio-based portraiture. Not only will be be able to meet with clients, have a glass of wine or coffee, and talk about your wedding or photo session, but we are now offering studio boudoir (under the Olga Daubs Boudoir brand), senior sessions, personal branding/head shots, and family portraits. To help launch these exciting new products, we're offering a limited number of free studio portrait sessions to our existing clients and friends to allow us to explore some new ideas and update our studio portfolio. Our first sessions will be held March 10. We'll send you a guide to wardrobe and makeup (professional hair and makeup services are available at an additional cost) to help you prepare. Show up for your session. We'll spend 15-30 minutes on beautiful images of you and another 15-30 minutes on our promotional and educational material. Meet up at the studio a few weeks later to see your images and choose up to three to keep. You can also order additional digital files as well as prints, albums and more at the reveal and ordering session. We're only offering this free session once, so act quickly before the slots are all gone! Questions? Give us a call at 608-620-8304. There's no denying the magic in a soft snowfall. The world gets quiet as the skies lay out a fresh blanket over winter's barren landscape and turn your neighborhood into something beautiful and new. 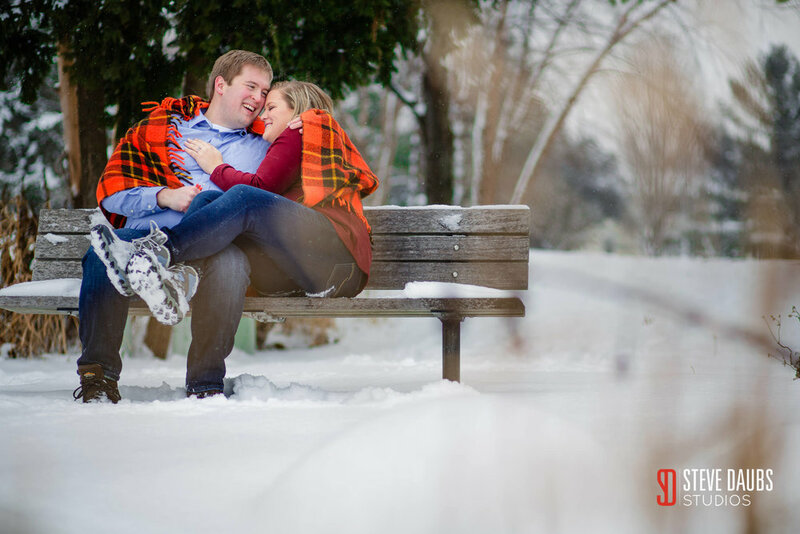 Ben and Jordan love it too, and when they asked if there was any way we could try to do their engagement session in the snow, we were excited to try and make it happen, to catch the magic as it happened. On MLK Day, Jordan emailed in the morning before I had even looked outside. I had been watching the forecast and noticed some promising days ahead, but when I looked outside and saw a steady, soft snowfall, I knew we had to give it a go that afternoon. Here's the part we loved the most: They changed plans, foregoing the more typical PIcnic Point and decided to take a walk around Stricker's Pond because that's where they routinely walk after a day at the office. It's a place they know and love, and that's the kind of location that makes for the most happy couples and therefore the happiest photographs. After freezing in the cold for a couple of hours, we headed downtown, in the shadow of Jordan's office building, to warm up and wait for dusk. 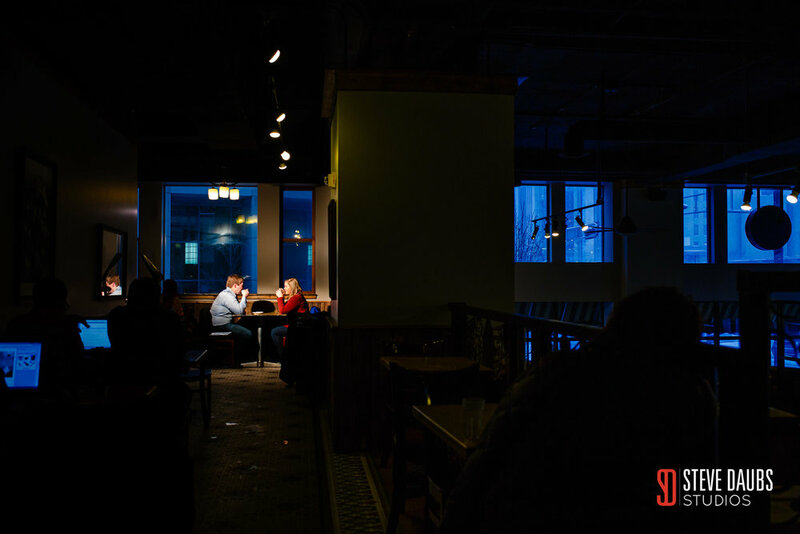 They had their first date near the Capitol, and we thought it would be fun to try and capture a different view of the snow at night. Thanks to Ben and Jordan, who suffered through slips and falls in the snow and trying to keep a bit warm wrapped in my too-small blanket so we could showcase their sparkling love in the sparkling winter. 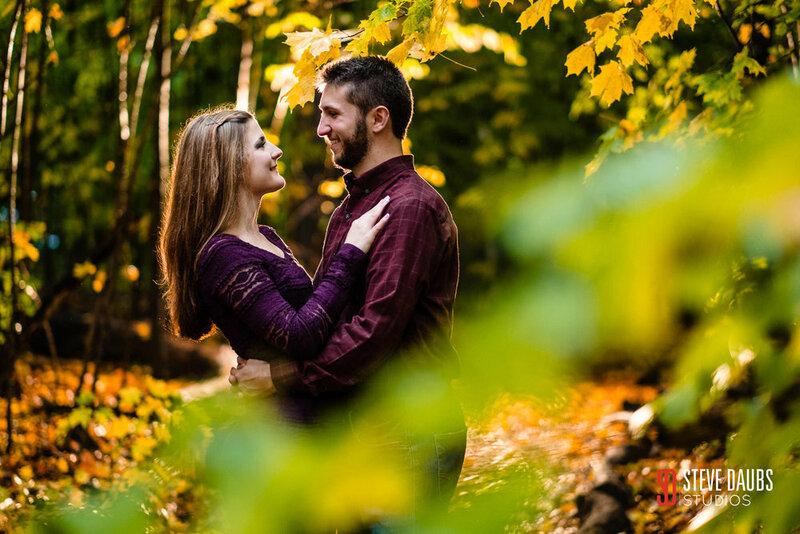 This session is a good reminder for all couples--when planning your engagement session in Madison, think about what you two do together as a starting place for planning your session! What drives me perhaps more than anything else is a thirst for knowledge. I love weddings because I get to observe people, how they act, what they think, and what makes for a great couple, a great family, and a great party. My quest for knowledge has taken me to three university degrees, a decade teaching, and to travels that shed light on both my life and the cultures of millions of people. And that desire to learn more is fundamental to my passion for photography. I believe that even the most amazing piece of art is still a beautiful failure, and my work certainly qualifies. As artists, we have a vision and that vision never exactly matches the result. That's okay, and part of the creative process. It's also what drives me to be better every day. 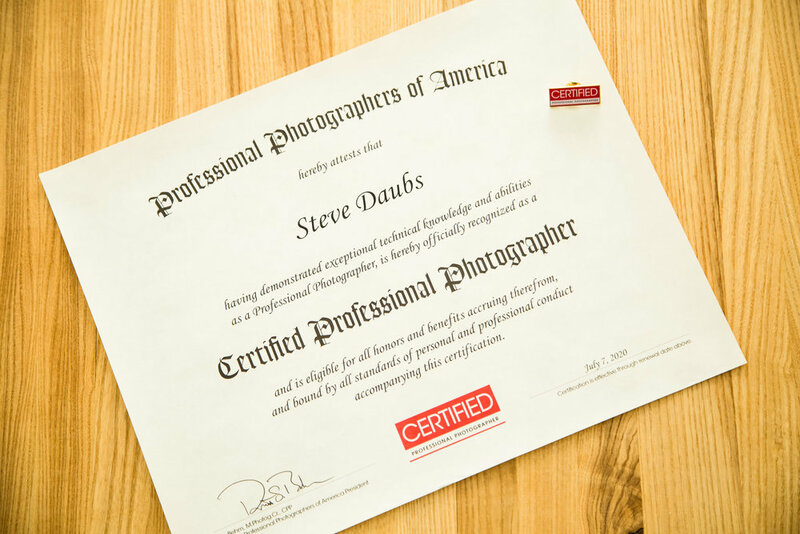 So a couple of years ago I decided to try to fill in some of the gaps in my photographic knowledge and began the process of becoming a Certified Professional Photographer from the Professional Photographers of America. The PPA is America's oldest and largest professional photography organization, with local chapters across the country and a national organization dedicated to helping this industry succeed. The CPP is a two part process. First there's a test to measure your technical knowledge of making photographs. You study technical aspects of film and digital sensors and lenses. You explore composition, color theory, and using all kinds of light. After several months of brushing up on everything from color correction to the inverse square rule to the circle of confusion, I passed my exam two years ago. Then, candidates must submit a portfolio of images demonstrating your knowledge. Even if I rarely make photographs using a 3:1 lighting ratio, I need to demonstrate that I can if I want to. It's part of being a professional--making choices for your images rather than simply doing the only thing that you know how to do. It took me some time to make the photographs that demonstrate technical competency on a wide variety of areas, from color harmony to composition to lighting. I submitted my portfolio of 15 final images last summer. It passed and I received my degree. Only four other photographers in the Madison area have completed this process. Does that make me one of the five best Madison wedding photographers? Not necessarily. 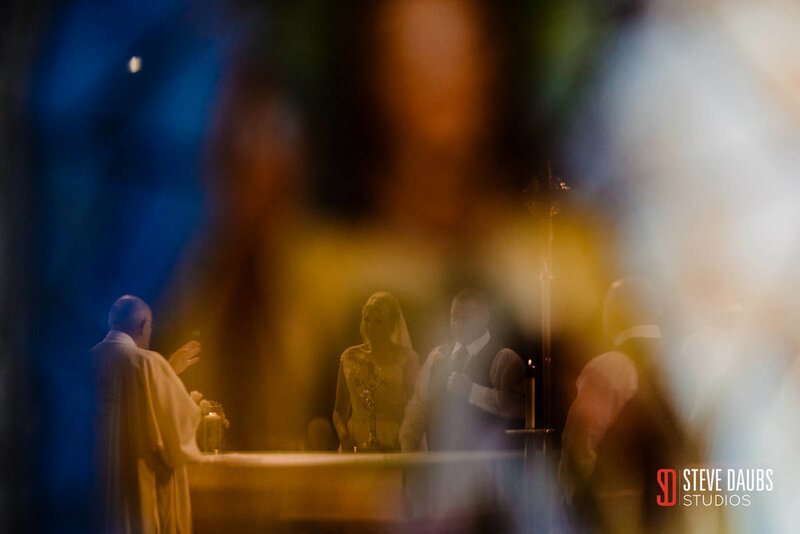 But it demonstrates my commitment to improvement, my ability to adapt to the myriad conditions on any given wedding day, and it should provide you with comfort that, among the hundreds of photographers you might hire, I can deliver. Every time. Our first wedding season in Madison couldn't have been better, thanks to the amazing couples we were able to spend some time with. This gallery represents just a few of our favorites from 2017, but in truth there are so many we couldn't share them all even if we tried! We moved back to Madison after several years in South Florida, and besides the much more comfortable climate for outdoor weddings, what we loved most about this year was the amazing variety of locations we were able to take advantage of for our weddings and engagement sessions. We got to document backyard weddings both large and small, some stunning barn weddings, a wedding at the Capitol, and engagement sessions that ranged from the Milwaukee Art Museum to the stunning Allen Centennial Garden in Madison to the sunflowers at the Pope Farm Conservatory. Thanks so much to all the couples who trusted us to deliver images of their most important moments in 2017, and we look forward to an even more varied season in 2018! If you're looking for a Madison wedding or engagement photographer for 2018 and 2019, please contact us! We'd love to meet up and chat. Heather and Robert really wanted engagement photos in Madison with a little fall color, but the weather wasn't cooperating. It was pouring rain on a recent Sunday afternoon as we loaded the car to get to PIcnic Point at UW-Madison with a forecast for rain to end by sunset, but our alternate date a few days later was looking like a frigid, grey day also with the chance for rain so we decided to hope for the weather to clear, at least a bit. But at least the trees were turning, with rich yellows and reds and oranges towering over us on the paths of the UW Lakeshore Nature Preserve, and Heather and Robert were game for anything. So we started to shoot as the rain began to lighten up a bit, capturing some of the color while avoiding most of the rain. When the rain finally quit for a minute, we got a few images with their cute little doggies, who were a bit more interested in smelling everything around than posing for us. Nothing new there! We even brought our own little bit of sunshine via our Profoto B2 strobes and a warming filter--you can't control the weather, but you can control the light! We worked our way into the preserve, stopping here and there to capture a moment or some color, the sky still grey and foreboding, until just before sunset. At that point, it didn't matter that I was soaked and dirty from laying in the mud because the clouds had begun to part to reveal the richest, reddest sunset I have seen in some time. It was as if the gods were paying us back for our faith in the beauty of nature or something, and we raced to the western edge of the peninsula to use that beautiful backdrop. But nature wasn't done with us. To the north was a stunning double rainbow that stretched over the entire lake. We didn't need to make it to the end of the peninsula, but rather felt like we had found the pot of gold already in the stunning beauty of nature and the infectious love of another amazing couple. We love it when a plan comes together. Thanks, Robert, Heather, the dogs and the handlers, who showed great trust and patience in us! We have been eagerly anticipating Mike and Danielle's wedding ever since our engagement session with this down-to-earth couple in the spring. It's not just that they're lovely people (they are), but what we saw during our first session was their honest, open nature and complete comfort with who they are. Mike's a big, burly guy with the kind of square jaw and piercing gaze that could intimidate a person...that is, until Danielle makes him crack a smile. So we knew that this would be a wedding that really showcased a bunch of genuine people experiencing all the emotions that come with a big day. From the touches honoring Danielle's late mother, who had been married at the same church many years ago, to Bucky Badger's arrival to kick off a spirited night of dancing, we knew we were experiencing the best kind of celebration. And the rain, which threatened all day? It probably made the day better, giving us a bit of time to stop in at the Lone Girl Brewing Co. in downtown Waunakee, and pushed us to improvise and adapt. It certainly helped that all the vendors made our day easy. Special thanks to Rex's Inkeeper. 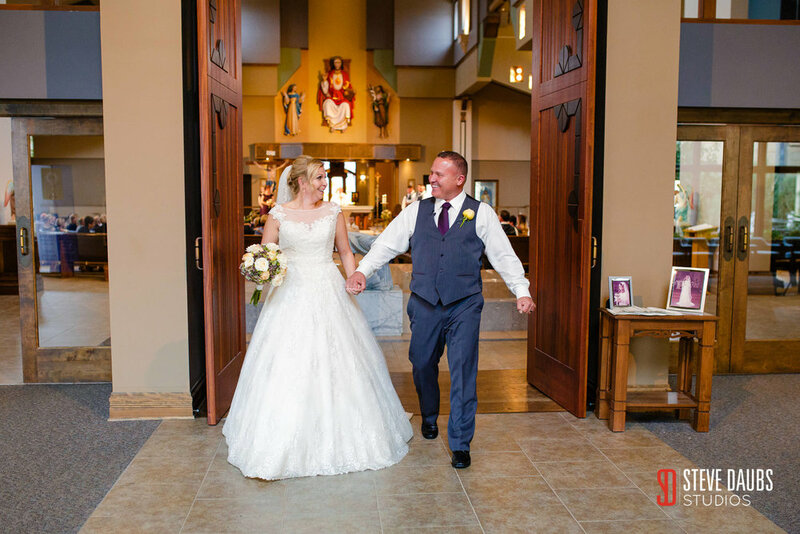 St. John's Catholic Church, videography by Stacy Bruner, flowers by Pocket Full of Posie, cake by Craig's Cakeshop, music and photobooth from Sound Solution Mobile DJs, hair and makeup by Malia Wood, and the gorgeous dress from Brandi's Bridal. You might remember this stunning couple from earlier this spring. We posted the story of their intimate Wisconsin Capitol Wedding several months ago, but instead of a big reception, Sam and Jessica had a quiet meal on the square. Sam was in the midst of rotations for medical school, but the April 30 wedding date was very important to Jessica due to some beautiful family history with her grandparents. So they compromised--They'd get married in the presence of family but when Sam had a bit more control over his schedule, they'd throw a pig roast at the family home near Belleville. 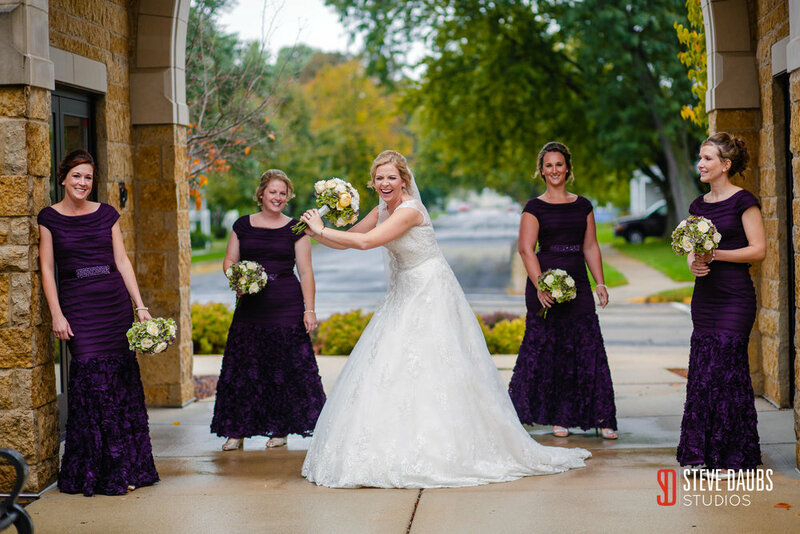 Last weekend, Sam and Jess invited family and friends to dance, enjoy the beautifully crisp fall weather, and celebrate. Sometimes, thinking outside the box works the best, and instead of the downpours we faced in the spring, we got a gorgeous evening spent around a fire, sipping beer and telling stories. Here are a few of the portraits we snuck in during the party.